Dear Readers – If today the world stage centers around the United States and Western Europe, twenty-three centuries ago it was centered around the Mediterranean through the Near East. In 327 B.C. 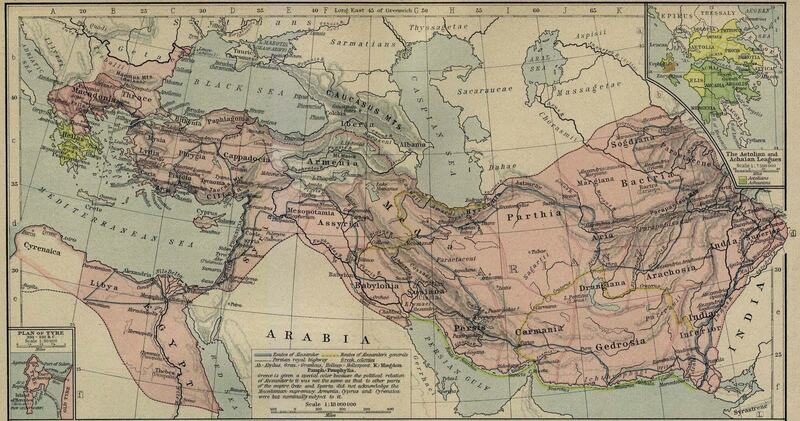 Alexander the Great crossed the deadly Hindu Kush mountains from Bactria (modern-day Northern Afghanistan) through Ghandāra to the Indus River Valley, where he was repelled by the elephant fleet of Paurava rajah (King Porus). One-hundred-and-fifty years earlier, 400-miles away in modern-day Lumbini, Nepal – Siddhartha Gautama was becoming the Buddha. At the same time, 2000-miles away in modern-day Shandong, China – Laozi was becoming Confucius. While these three men would never have met in time or place, their legacies intertwine in the story of King Milinda. In the style of a Socratic debate, King Milinda – thought to be modeled after the Bactrian-Greek King Menander I or II – debates science, ethics, and religion with the Buddhist sage Nāgasena.